The feedlot operator or rancher who wants a highly palatable weaning or receiving ration to help cattle overcome the effects of stress and to encourage feed consumption should feed Min Mix Super Start. With a highly fortified trace mineral package that includes vitamins and state-of-the-art yeast cultures, Min Mix Super Start will provide a nutritional boost to your stressed calves. 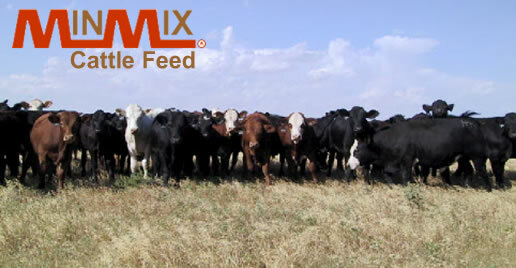 This feed is designed to be fed to beef cattle. CAUTION: This feed contains urea. The equivalent protein supplied by the urea should not exceed 1/3 of the crude protein of the total ration. Use as directed for beef cattle only. Provide fresh, clean water at all times. WARNING: Do not feed to cows producing milk for food.